The first time someone asked me if I wanted weed, I was a freshman in high school. I have never tried it, partially due to the fear instilled in me by my parents and teachers, and through personal experience I have learned how it has destroyed the lives of many of my peers and people I know. Many of them are high-school dropouts, addicted to heroin or cocaine, or with criminal records- all because they decided to take that first joint. When Justin Trudeau was elected as the Prime Minister of Canada, and Head of the Liberal Party, in 2015, I was dismayed that the key part of his election platform was a promise to legalize marijuana. In a country where most Aboriginal people are incredibly marginalized, and where highly-qualified immigrants struggle to find stable employment, it was a shock to me that smoking a joint legally should be a top priority and take resources away from improving the lives of millions of disenfranchised people in Canada. Nonetheless, cannabis today is part of the cultural fabric of Canada; even Trudeau himself has admitted to smoking pot along with 20% of all Canadians in 2014 (Evans). There is a yearly celebration held on April 20, commonly known as 4/20, a day of “half celebration and half call to action” (Johnson), where many Canadians smoke pot openly and protest for marijuana legalization. In high schools and colleges, smoking pot for the first time is a rite of passage for many adolescents in attempting to make friendships and solidify social status. It is important to note that “anyone can become an addict”, no matter what social status, race, gender or social class, the person is (Stories by Teens). Often, pot has been seen as the “green gold” of Canada, but in actuality, it is a highly addictive substance with serious health side-effects. Marijuana is a drug, that is sold as a mixture of one or many of the following items: dried flowers, leaves, seeds, and stems from the hemp plant and is usually green, gray or brown in color. It is grown globally typically outdoors but in colder climates such as in Canada, it is grown indoors. Cannabis is consumed by smoking using pipes, vaporizers, and cigarettes, or it is added to foods and beverages, such as the ubiquitous “marijuana cookie” (Volkow). Recreational marijuana currently remains illegal in Canada, although, Trudeau pledges to change this. The Liberal Party plans to legalize recreational marijuana by July 1, 2018, for all those 18 and older nationwide (The countdown to legalization begins). Trudeau’s mission to legalize marijuana is primarily focused on three goals: to curb the illicit activities of drug cartels, to end criminal convictions for possession up to 30 grams of weed, and to regulate the quality of the substance. Critics of Trudeau’s plan mention that legalizing pot has many undesirable consequences, particularly on young adults, as it is a gateway drug for harder narcotics and is linked to decreased cognitive ability, mental illnesses, and physical problems. Legalizing marijuana holds several benefits to society such as the containing of drug cartels that provide the majority of narcotics to Canadians (Canada Border Is Drug War’s Second Front). Cartels often source marijuana from people who grow pot in the basements of houses, particularly in urban areas, such as Toronto (Illidge), as well as importing from abroad mainly from Latin America. By buying from these criminal organizations, the consumer provides them the “money to carry out brutal violence, including murders, beheadings, kidnappings, and torture” (Lopez). To compare this, buying drugs from cartels is similar to purchasing non-fair trade coffee as the consumer makes a conscious choice when buying to continue supporting the pain and suffering of others. When the government legalizes marijuana, the bulk of the revenue from cannabis sales would likely go into funding government programs, instead of into the hands of cartels. For example, after legalizing recreational pot in January 2014, Colorado has received “more than $150 million in taxes from legal marijuana sales, including nearly $50 million from a specific excise tax that directs funds to school construction projects” from January to October 2016 alone (Huddleston). By following in Colorado’s footsteps, tax collected from the sale of recreational marijuana could generate significant revenue for the Canadian government. This revenue could have a tremendous positive effect on Canadian society, and especially on adolescents, as the revenue windfall would likely fund schools, transportation projects, and hospitals. Additionally, legalizing marijuana would diminish the control of cartels and eliminate resources for policing, laying criminal charges, and sentencing for possession of under 30 grams of pot. Currently, possession of marijuana is illegal and can lead to a criminal conviction. In Canada, generally, unless someone is a minor, convictions remains on their permanent record (Consolidated Federal Laws of Canada, Controlled Drugs, and Substances Act). In some respects, having a conviction for robbing a person and possessing a few ounces of marijuana in your pocket can close the same doors. Individuals with criminal convictions, including for possession of pot, are barred from entering most foreign countries (including the US) and are unable to obtain good employment opportunities specifically where a criminal background check is required. To emphasize this point, Thomas Mulcair, head of the New Democratic Party, a political party on the far left, expressed his dissent that Trudeau smoked pot as a sitting Member of Parliament and has never been charged, while many average Canadians have had their lives destroyed due to this. Mulcair explains “why is it fair for him [Trudeau] to have nothing and for a young person who does the exact same thing to wind up with a criminal record that’s going to follow them for the rest of their lives” (Maloney)? Most importantly, however, there needs to be a conversation in workplaces along the line of how “Alcohol is legal, but you can’t drink it on the job.” In a society, where more harmful substances than cannabis, such as alcohol are legal, it is necessary for Canadian society to evolve as marijuana becomes legal, and to recognize, when and where using pot is appropriate (Futch). For example, a teacher drinking alcohol during school hours is considered inappropriate, although at a party it is socially acceptable. However, there is a difference between enjoying oneself and negatively impacting the lives of others, and the Trudeau government vows to enact more stringent legislation to avoid this, for example, by penalizing those driving under the influence of cannabis, and those providing pot to adolescents under the age of eighteen (The countdown to legalization begins). Trudeau also plans to not convict those under eighteen if they have less than five grams of pot in their possession. By legalizing marijuana, the government’s decisions would impact many people, including youths, in many ways in that they would no longer have to deal with job and travel rejections due to pot possession convictions, although those who have been already convicted would not be able to have their records expunged (Maloney). Apart from people avoiding criminal records for possession, legal pot would have uniform quality which would be enforced by the government. Finally, illegal marijuana in Canada comes from “unknown sources with no quality control” (Friscolanti). As cartels have largely monopolized the marijuana market, growers are at their mercy to supply a cheap product that the cartels can then turn around and sell at the highest prices in order to maximize profit. The current marijuana operation is focused on cost and profit rather than health or quality, often resulting in many growers cutting corners such as using harmful chemicals and pesticides. Many cartels, often sell pot by weight and therefore blend it with inexpensive ingredients like sawdust. The Globe and Mail, a national newspaper in Canada, conducted a study examining the quality of recreational marijuana in illegal dispensaries throughout Toronto. Out of nine samples examined, “three samples tested positive for bacteria, in numbers that exceeded federal standards, and one of those also tested positive for potentially harmful mold” (Robertson and McArthur). Bacteria and mold can lead to many illnesses and infections, particularly affecting the lungs (Volkow). If the government were to legalize and regulate marijuana by testing dispensaries frequently and inspecting greenhouse conditions, it would likely result in safer and higher quality production. Legal weed would change the lives of many young users to let them use pot safely without the fear of becoming ill from poor quality cannabis. To enact policy to make recreational marijuana legal has benefits to Canadian society, although there are negative consequences on the individual and society, such as stunted brain development, mental illness, physical impairment, and likely addiction to other drugs. Adolescent brain development is negatively affected due to the consumption of pot. A study in New Zealand discovered that people who used marijuana as teens lost “an average of 8 IQ points from age 13 to 38” but IQ did not decrease in those who started taking marijuana as young adults (Hopp). While studies done on humans are conclusive, there is still statistical inaccuracy when it concerns race, gender, and socio-economic status. In another study, done on rats who were exposed to THC, the chemical in marijuana that creates the “high,” at a young age including pre-birth, as adult rats had “notable problems with specific learning and memory tasks later in life” similar to the effects of pot on humans. When a pregnant woman consumes pot, her baby is more likely to have developmental delays, although the extent of damage is influenced by many factors such as: how regularly the mother takes pot, socio-economic factors, and genetics. Nonetheless, it is important to note, that someone exposed to marijuana, consistently before the age of 25, the age when the brain stops growing, will with near certainty be affected whether it be with physical illness or reduced brain development (Volkow). By legalizing cannabis, Trudeau would in effect help many individuals deprive themselves of their full potential and intelligence. This would have major consequences for the Canadian economy as there would be a decline in a large percentage of people in their human capital and productivity and simultaneously raising the financial burden for increased medical services required to treat mental and physical illnesses. Marijuana can also cause and exacerbate mental illness such as short-term effects including feelings of paranoia, lack of awareness, and anxiety. In situations where somebody has taken pot and is anxious or paranoid, it may lead that person to dwell on suicidal thoughts, hallucinate, or self-harm. In situations where someone has become impaired, they may lack judgment and are more likely to commit a felony, such as driving under the influence. Adolescents youths are affected significantly, especially males, that struggle with mood swings and mental illnesses (Volkow). It is important to note, while many individuals use pot illegally, a poll in 2014 determined that 30% of people would use marijuana if it became legal, as opposed to 20% currently (Evans). As pot becomes more accessible, the health risks and usage would likely increase. Furthermore, cannabis has also been linked to a higher risk of depression, substance abuse, and anxiety, although more research needs to be conducted in this area (Gates). Nonetheless, there is a clear correlation between marijuana causing and exacerbating schizophrenia and the heredity likelihood of getting schizophrenia are seven times more for someone using marijuana regularly. In current patients, marijuana can increase symptoms of schizophrenia, such as hallucinations, periods of euphoria, and depression particularly in young adults (Volkow). Legalizing pot would have significant implications for Canada’s young adults, who are more susceptible to mental illnesses, especially depression, than other age demographics. Apart from afflicting mental illness, marijuana can also lead to physical impairments. Consuming pot can also result in numerous physical ailments. Smoking marijuana can have similar effects as nicotine, on the lungs, and can lead to respiratory illnesses including pneumonia given the fact that many youths have weaker immune systems than middle-aged adults. Pot smoke contains 50% more carcinogens (which cause cancer) than nicotine smoke, and small-scale studies have proved that smoking pot can lead to lung cancer. Similarly, the carcinogens in weed when used by an adolescent male specifically, have been linked to testicular cancer. Heart disease is also attributed to marijuana usage (Volkow), as it momentarily results in the heart rate to increase by up to 50 beats per minute and thereby increasing the chance of a heart attack by 4.8 times (Bridges of Hope). Additionally, pot use increases the prevalence of having a heart attack if there is hereditary cardiovascular illness or obesity, especially that adolescents growing up today struggle with their weight and are more likely to have a heart attack than previous generations where obesity was less of an issue (Volkow). These health hazards created by pot, afflict many people, specifically young men, and by the government legalizing but not controlling pot, it will result in increased deaths and mental illness diagnoses. Pot use can not only lead to mental illness as well as increased substance abuse and addiction to other drugs. Cannabis is usually seen as a gateway drug for experimentation with more harmful narcotics, notably heroin. While one cannot die from overdosing from marijuana, it is often seen as a stepping stone to harder drugs, which can be fatal and have more significant detrimental effects on the body and mind. In a study conducted in the US, those addicted to cannabis were three times more likely to use heroin than those who did not use weed and among youths use of heroin was significantly higher than other age demographics. Another study indicated that over 50% of marijuana users would become alcohol addicted. Robert L. DuPont, president of the Institute for Behavior and Health, explains that “by establishing it [pot] as a third legal drug, along with tobacco and alcohol, will increase narcotic abuse, including the expanding opioid [including heroin] epidemic” (DuPont). The study mentioned above on rats determined that “adolescent exposure to THC is associated with an altered reward system, increasing the likelihood that an animal will self-administer other drugs (e.g., heroin) when given an opportunity”. In other studies, it has been shown that significant peer pressure and other societal factors, such as one’s upbringing, determine if a person is more likely to consume harder narcotics (Volkow). By moving forward with his cannabis plan, Trudeau needs to recognize the harmful effects of marijuana on consumers and their increased desire to find more invigorating substances to get “higher,” than using pot. When something is legalized as opposed to decriminalized, it becomes more popular, more affordable, and eventually accepted by mass society. For example, when alcohol was legalized after the Prohibition, it became increasingly popular to drink and culturally acceptable for women to drink as well (Epstein). Marijuana becoming legal could have severe consequences, particularly on youths, not only due to the effects of the pot itself but also due to opening the world of hard narcotics to the user and its more lethal consequences. The fundamental solution to legalizing marijuana according to the Ottawa Board of Health (OPH), while curbing the adverse effects of its usage is to move the legal age to 25, as according to research by the OPH for the Canadian government concerning marijuana legalization. Gillian Connelly, the manager of Health Promotion and Disease Prevention with OPH, explained: “access to cannabis can have detrimental effects on brain development and the brain develops up to age 25”. Opponents have explained that if the legal age was 25 it “would surely lead to more black-market sales of the drug” for users 25. A compromise for the legal age could be 21 as the human brain is nearly fully grown by the age 21, and young adults would be less likely to purchase illegal substances (18 years is too young for legal marijuana). The report also mentioned several other solutions: advertising and marketing of recreational marijuana should be banned as not to entice anyone, and the packaging should be non-descript similar to cigarettes. With edible pot products, the packaging needs to be childproof and have labels for use by those under the age of eighteen. Another solution mentioned by the OHP would be a ban on usage of marijuana in public places, such as parks and restaurants as well as in workplaces (Pfeffer). Apart from enticing others to use marijuana, particularly adolescents, smoking marijuana in a public place poses a secondhand smoke risk, especially for people with asthma and young kids, who after being exposed can have impaired motor functions as well as respiratory illnesses (Esposito). The report by the OHP also recommended the need for the recreational marijuana industry to be operated by the government to ensure health regulations are abided by, the industry could be standardized across the country, and for the income generated to go into the hands of the government rather than cartels. Finally, the OHP recommended a price system based on the amount of THC found in the various of pot. By charging consumers more money for more potent pot, most users will likely choose less harmful varieties and will be less affected by the cannabis (Pfeffer). Also, it was recommended that the price of pot remain similar to the current cartel price to avoid a significant spike in sales and usage should the price be lowered. Several more solutions would be required to ensure the effects of marijuana are mitigated. Marijuana plants should be regularly inspected to ensure that pot is grown in sanitary conditions and that no pot is being sold illegally to and by cartels. Also, government operated marijuana dispensaries should be the sole method to purchase pot and none should be available online or through mail order to ensure the validity of the purchaser and the type and quality of the marijuana bought. Dispensaries should be located away from schools, hospitals, and rehab centers to avoid certain demographics of people: adolescents, people with mental illnesses, and drug users from easily obtaining pot or at the very least being exposed to it. It is also imperative that individual identification is thoroughly verified when purchasing marijuana including criminal and health checks. Four groups of people should be barred from purchasing recreational marijuana: adolescents, pregnant women, people with specific mental illnesses and individuals with prior criminal convictions. Youths under the age of 21 should not be allowed to purchase cannabis to avoid permanent brain damage (18 years is too young for legal marijuana). Pregnant women should not be allowed to purchase pot to prevent developmental delays in their babies. People with certain mental illnesses particularly schizophrenia should not be allowed to buy cannabis since symptoms worsen by the use of pot. Those with criminal convictions, including DUI’s, are more prone to commit a crime due to the lack of judgment caused by marijuana usage (Volkow), so they should be banned from purchasing pot. Dispensaries should also be required to maintain a database of purchasers to immediately amend their list of those who cannot purchase cannabis as well as to conduct surveys and studies on sample groups to determine patterns and problems with the cannabis sold and to determine quality. Finally, a network of therapists and rehab centers needs to be set up in place to help those, especially adolescents, suffering from drug addictions. The current availability of rehab centers is rather limited as described by Vaughan Dowie, the CEO of the Pine River Institute, a rehabilitation center for adolescents in Toronto. He explains, “The current system is significantly under-resourced; at Pine River Institute alone we have more than 200 names on our waiting list for services”. One of Pine River Institute’s goals is to help marijuana users finish high school, (Dowie), since according to a study the “odds of high school dropout are nearly six times greater for persistent marijuana users than nonusers or casual users” (McCaffrey et. al). It is necessary for the Canadian government to invest in creating a network of affordable, accessible rehab centers with therapy to help adolescents and other groups of people with addictions of all social classes. Globally, the usage and legality of marijuana vary significantly. For example, Amsterdam is world renowned for its coffee houses which sell pot (Browne). Uruguay is the first country to legalize pot nationwide for all those over 18 in December 2013 (Uruguay Opens Registry for World’s First Government-run Marijuana Market). Denver’s nickname, “the mile-high city,” is a double entendre for its elevation and as a city where marijuana is legal. It is a popular tourist destination for American weed tourism (Browne). On the other hand, possessing pot in Malaysia can result in 5 years in jail and planting a marijuana seed can result in a life sentence (Green). In South Dakota, Kansas, and Idaho, cannabis is illegal, and possession of even small amounts results in a misdemeanor (Do You Know Where Pot Is Legal, and Where It’s Not?). The use of marijuana crosses racial, ethnic, gender, economic, and country lines. Clearly, although pot remains illegal, the current trend is to decriminalize it (and to a lesser extend legalize it) in the developed world. In conclusion, legalizing marijuana in Canada will likely come into effect prior to the next Federal election which will take place in 2019, well after the July 1, 2018, deadline set by Trudeau to make pot legal. The majority of Canadians support Trudeau’s plan as per a study conducted in 2012 by Toronto’s Forum Research found that “65 percent of Canadians indicated that they support either the legalization and taxation of marijuana (33 percent) or the decriminalization of the substance (32 percent)” (Mastracci). Canadian society will change once pot becomes legal. Examples of this will include: the weakening of cartels resulting in safer inner cities and the ability of households to grow their own supply of up to four plants of marijuana in their home. Alcohol, nicotine, and cannabis, when used responsibly and in moderation, can be enjoyable but when consumed without limit, tragedy can occur. The legalization of pot will benefit Canada in many ways, although critical measures to protect adolescents need to be enacted and strongly enforced. When pot is legalized in Canada, it will undoubtedly remain popular among young Canadians, but the government needs to follow the solutions mentioned above to ensure the transition from illegal to legal pot will go smoothly (Israel). If marijuana is considered “green gold,” then Canada needs to find a way to protect its people to use it and share it safely. (c) Ideas With Ink. Please link or mention the source when using. 1. Evans, Pete. “20% of Canadians Smoked Pot Last Year, but More than 30% Would If Legal, Poll Suggests.” CBCnews. CBC/Radio-Canada, 10 Nov. 2015. Web. 27 May 2017. <http://www.cbc.ca/news/business/marijuana-pot-poll-survey-1.3312151>. 2. Johnson, Gene. “The Origins of 4/20, Marijuana’s High Holiday, Explained.”Thestar.com. Toronto Star, 20 Apr. 2017. Web. 27 May 2017. <https://www.thestar.com/news/gta/2017/04/20/the-origins-of-420-marijuanas-high-holiday-explained.html>. 3. “Stories by Teens.” Marijuana Anonymous (n.d.): n. pag. Marijuana Anonymous. Marijuana Anonymous. Web. 27 May 2017. <https://www.marijuana-anonymous.org/images/pamphlets/p14-en-lgl.pdf>. 4. Volkow, Nora D. “Letter From the Director.” National Institute on Drug Abuse. National Institute of Health, n.d. Web. 27 May 2017. <https://www.drugabuse.gov/publications/research-reports/marijuana/letter-director>. 5. “The countdown to legalization begins.” Globe & Mail [Toronto, Canada], 17 Apr. 2017, p. A10. Global Issues in Context, link.galegroup.com/apps/doc/A489734084/GIC?u=conc49179&xid=25fc877b. Accessed 12 May 2017. 6. “Canada Border Is Drug War’s Second Front.” The Washington Times. The Washington Times, 26 July 2009. Web. 27 May 2017. <http://www.washingtontimes.com/news/2009/jul/26/canada-border-is-drug-wars-2nd-front/>. 7. Illidge, Paul. “Memoir: Growing a Few Pot Plants in the Basement Seemed like a Great Idea until I Got Busted.” Toronto Life. Toronto Life, 9 Oct. 2014. Web. 27 May 2017. <http://torontolife.com/city/paul-illidge-memoir-reefer-madness/>. 8. Lopez, German. “Canada Is Moving to Legalize Marijuana – and It May Violate International Drug Law to Do It.” Vox. Vox, 13 Apr. 2017. Web. 27 May 2017. <https://www.vox.com/2017/4/13/15219524/canada-marijuana-legalization-bill>. 9. Huddleston, Tom, Jr. “Colorado Topped $1 Billion in Legal Marijuana Sales in 2016.” Fortune.com. Fortune, 13 Dec. 2016. Web. 27 May 2017. <http://fortune.com/2016/12/13/colorado-billion-legal-marijuana-sales/>. 10. “Consolidated Federal Laws of Canada, Controlled Drugs and Substances Act.”Legislative Services Branch. The government of Canada, 19 May 2017. Web. 27 May 2017. <http://laws.justice.gc.ca/eng/acts/C-38.8/page-2.html>. 11. Maloney, Ryan. “Mulcair Would Like To Remind You Trudeau Smoked Pot As An MP.”The Huffington Post. The Huffington Post, 04 May 2016. Web. 27 May 2017. 12. Futch, David. “How Marijuana Legalization Could Affect Employers’ Drug-Testing Policies.” L.A. Weekly. L.A. Weekly, 19 July 2016. Web. 27 May 2017. <http://www.laweekly.com/news/how-marijuana-legalization-could-affect-employers-drug-testing-policies-7144962>. 13. Friscolanti, Michael. “Canada’s out of Control Marijuana Business.” Macleans. Macleans, 24 Apr. 2016. Web. 27 May 2017. <http://www.macleans.ca/news/canada/canadas-completely-out-of-control-marijuana-business/>. 14. Robertson, Grant, and Greg McArthur. “Globe Investigation: What’s in Your Weed?” The Globe and Mail. The Globe and Mail, 27 July 2016. Web. 27 May 2017. 15. Hopp, Carol. “Clearing the Smoke.” Helping Services for Youth & Families. Helping Services for Youth & Families, 27 Apr. 2015. Web. 27 May 2017. <https://www.helpingservices.org/clearing-the-smoke/>. 16. Gates, Peter. “Does Cannabis Cause Mental Illness?” The Conversation. The Conversation, n.d. Web. 27 May 2017. <http://theconversation.com/does-cannabis-cause-mental-illness-54890>. 17. “Is Marijuana Really A Gateway Drug?” Bridging Hope for Recovery. Bridges of Hope, 29 Sept. 2015. Web. 27 May 2017. <https://bridgesofhopeblog.wordpress.com/2015/09/29/is-marijuana-really-a-gateway-drug/>. 18. DuPont, Robert L. “The New York Times Company.” The New York Times. The New York Times, 26 Apr. 2016. Web. 27 May 2017. <https://www.nytimes.com/roomfordebate/2016/04/26/is-marijuana-a-gateway-drug/marijuana-has-proven-to-be-a-gateway-drug>. 19. Epstein, Leah Odze. “How Prohibition Changed Women’s Relationship to Alcohol.” Drinking Diaries. Drinking Diaries, 7 Oct. 2011. Web. 27 May 2017. <http://www.drinkingdiaries.com/2011/10/07/how-prohibition-changed-women%E2%80%99s-relationship-to-alcohol/>. 20. Pfeffer, Amanda. “Minimum Age for Legal Marijuana Should Be 25, Public Health Agency Says.” CBCnews. CBC/Radio-Canada, 21 Oct. 2016. Web. 27 May 2017. <http://www.cbc.ca/news/canada/ottawa/marijuana-ottawa-public-health-1.3800547>. 21. Esposito, Lisa. “Secondhand Marijuana Smoke and Your Children.” U.S. News. U.S. News, 6 Jan. 2017. Web. 27 May 2017. <http://health.usnews.com/wellness/articles/2017-01-06/secondhand-marijuana-smoke-and-your-children>. 22. “18 years is too young for legal marijuana.” Spectator [Hamilton, Ontario], 16 Dec. 2016, p. A14. Global Issues in Context, link.galegroup.com/apps/doc/A474042912/GIC?u=conc49179&xid=89f6f8e2. Accessed 12 May 2017. 23. Dowie, Vaughan. “Legalizing pot: Let’s get it right.” Toronto Star [Toronto, Ontario], 21 Feb. 2016, p. A11. Global Issues in Context, link.galegroup.com/apps/doc/A443803510/GIC?u=conc49179&xid=2ab61e1c. Accessed 12 May 2017. 24. McCaffrey, Daniel F., Rosalie Liccardo Pacula, Bing Han, and Phyllis Ellickson. “Marijuana Use and High School Dropout: The Influence of Unobservables.” National Institutes of Health. U.S. National Library of Medicine, 1 Nov. 2011. Web. 15 May 2017. <https://www.ncbi.nlm.nih.gov/pmc/articles/PMC2910149/>. 25. Browne, Jake. “Cannabis Cup: 7 Surprising Differences between Amsterdam and Denver.”The Cannabist. The Cannabist, 2 Dec. 2014. Web. 27 May 2017. <http://www.thecannabist.co/2014/12/02/amsterdam-cannabis-cup-vs-denver-cannabis-cup/24419/>. 26. “Uruguay Opens Registry for World’s First Government-run Marijuana Market.” The Cannabist. The Cannabist, 2 May 2017. Web. 27 May 2017. <http://www.thecannabist.co/2017/05/02/uruguay-medical-marijuana-pharmacy-registry/78754/>. 27. Green, Johnny. “Toughest Marijuana Laws Around the World.” The Weed Blog. The Weed Blog, 11 Apr. 2012. Web. 27 May 2017. <https://www.theweedblog.com/toughest-marijuana-laws-around-the-world/>. 28. “Do You Know Where Pot Is Legal, and Where It’s Not?” The Cannabist. The Cannabist, 2 May 2016. Web. 27 May 2017. <http://www.thecannabist.co/2016/05/02/marijuana-laws-state-world/52508/>. 29. Mastracci, Davide. “Is Weed a Gateway to Other Legal Drugs in Canada?” The Huffington Post. The Huffington Post, 30 Jan. 2013. Web. 27 May 2017. 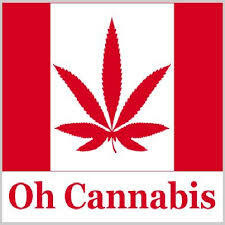 <http://www.huffingtonpost.ca/davide-mastracci/legalizing-marijuana-in-canada_b_2213297.html>. 30. Israel, Solomon. “Canadian? Curious about Cannabis? Here Are Some Answers.” CBCnews. CBC/Radio-Canada, 02 Apr. 2017. Web. 27 May 2017. <http://www.cbc.ca/news/business/legalized-marijuana-questions-2018-1.4049808>. 1.Gwynne, Kristen. “Study: Why Teen Pot Smoking Could Be a Good Thing (And What We Can Learn From Teens Who Choose Weed Over Beer).” Alternet. Alternet, 19 Dec. 2011. Web. 15 May 2017. <http://www.alternet.org/story/153498/study%3A_why_teen_pot_smoking_could_be_a_good_thing_(and_what_we_can_learn_from_teens_who_choose_weed_over_beer)>. 2.”Ban pot for young Canadians? Time for a reality hit.” Globe & Mail [Toronto, Canada], 4 July 2016, p. A9. Global Issues in Context, link.galegroup.com/apps/doc/A456902253/GIC?u=conc49179&xid=540ebcad. Accessed 12 May 2017. 3. “Reefer madness.” Globe & Mail [Toronto, Canada], 22 June 2007, p. A16. Global Issues in Context, link.galegroup.com/apps/doc/A166574740/GIC?u=conc49179&xid=f01ccd51. Accessed 12 May 2017. 4. Simons-Morton, Bruce, William Pickett, Will Boyce, Tom F.M. Ter Bogt, and Wilma Vollebergh. “Cross-national Comparison of Adolescent Drinking and Cannabis Use in the United States, Canada, and the Netherlands.”National Institutes of Health. U.S. National Library of Medicine, 20 Mar. 2009. Web. 15 May 2017. <https://www.ncbi.nlm.nih.gov/pmc/articles/PMC2790541/>. 5. Jacobus, Joanna, and Susan F. Tapert. “Effects of Cannabis on the Adolescent Brain.” National Institutes of Health. U.S. National Library of Medicine, 1 Jan. 2015. Web. 15 May 2017. <https://www.ncbi.nlm.nih.gov/pmc/articles/PMC3930618/>. This entry was posted in Essay/Speech on June 1, 2017 by Ideas With Ink. As soo as re recreational marijuana is legal, more people will use it.